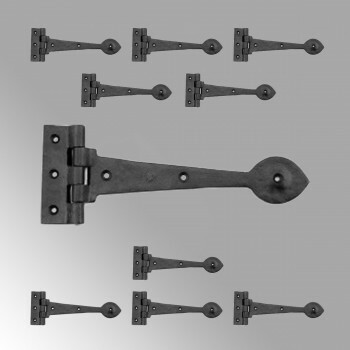 10 Wrought Iron Strap Hinge Heart Tip Textured 10"
(10) pieces This highly durable hinge crafted from tough wrought iron is popular on cabinet doors, armoires, gates and more. 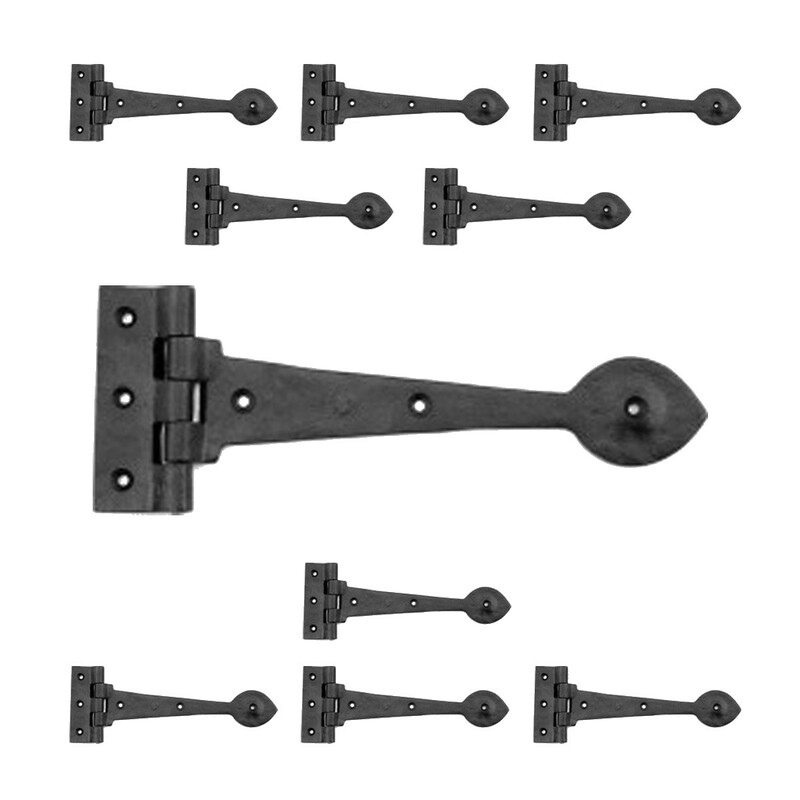 Filled with that Old Colonial charm, strap hinge are perfect for a rustic feel. Affordably reclaim old cabinet doors or update a piece of furniture or bedroom armoire. This hinge is protected by our rust-righting RSF finish. Mounting hardware included.